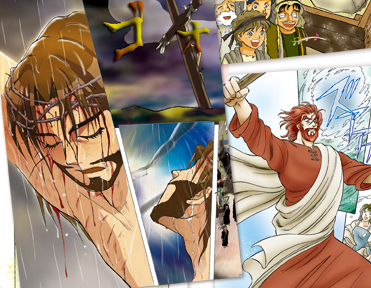 Directly sharing the impactful power of the Gospels through Manga Bibles. Manga is known worldwide as a major part of Japanese culture. With that in mind, and the influence it has had on a global scale, in 2006, New Life Ministries embarked upon a project to produce a new manga version of the Bible, starting with the Gospels, and producing a series of 5 books covering the Old and New Testament. This Manga Bible went above and beyond expectation in its popularity and impact, and today, Manga Messiah (covering the life of Jesus as presented in the Gospels) has been translated into 27 languages, with 6 more languages in the works. This project is continuing to grow each year, with more interest for the book in new languages coming in all the time. In countries where Christianity is not allowed and Bible cannot be sent in, the manga books have a way in, and thus the Gospel message can still be spread. 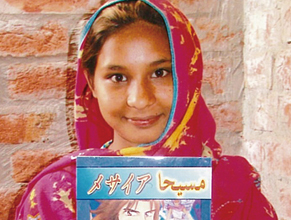 In places like India and the Middle East, where there is persecution against Christians, there is opportunity with manga, as we continue to translate and produce the books in the local languages. Whether it be in conflict areas or disaster zones, to children or to those who cannot even read, the manga penetrates all kinds of situations to reach the heart of people everywhere. The Manga Bible Manga Messiah – The Biblically faithful story of Jesus Christ’s life, death and resurrection revealed through manga. 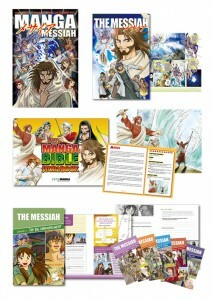 Manga Booklets The Messiah– A 64-page version of the Manga Messiah as an easy-to-use evangelical tool. Gospel Literature The Manga Bible Storybook– 16 stories chosen from The Manga Bible series are brought to life in a flipbook form with the story and questions for teachers educating young kids. Manga Educational Tools The Messiah Study Guides– A companion to The Messiah, these are fun guides to help kids grow in their knowledge of the Gospel through questions and activities. In an effort to support the spiritual needs of the massive number of Syrian refugees escaping to Europe and neighboring Middle Eastern countries, we are providing the Manga Messiah in Arabic for local partners to use in reaching out to them with the love of Christ. We have already sent around 25,000 copies of to Jordan and Lebanon to be used in various camps and small community groups. Check out the reports! 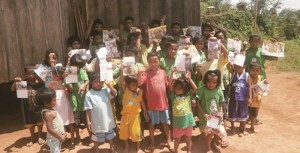 First serving typhoon-affected churches in Tacloban in 2014, and now reaching out to street children in Manila to empower them with education, working with local partners we have distributed The Messiah with accompanying Study Guides and The Manga Bible Storybook. *The HOPE for LIVING Philippines Project will become part of the Manga Project in 2016. 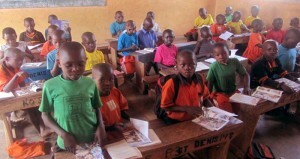 After experiencing the horrors and trauma of civil war for over two decades, the children of Uganda need hope and healing. 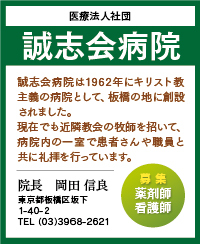 Since 2008, we have been providing The Messiah booklets (605,000 to-date) and Manga Messiah (800,000 to-date) to be used in public schools and Sunday schools for children. These books have not only affected the children in a positive way, but also their families have been exposed to the Gospel message thanks to these books.